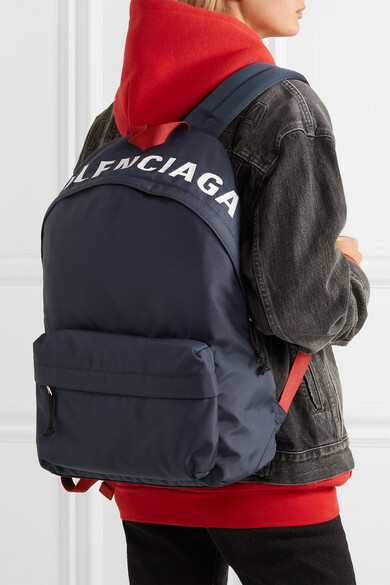 Balenciaga's logo is embroidered in white on the top of this backpack. 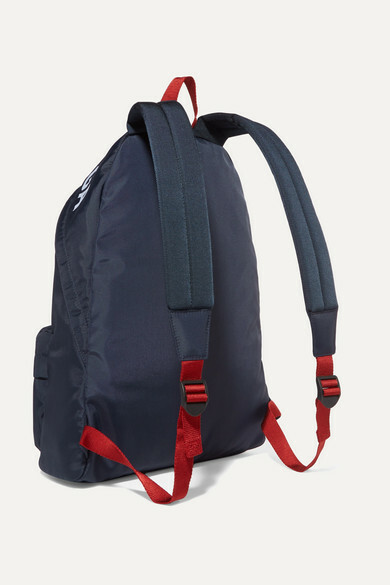 It's made from sturdy navy shell and has a contrasting red handle and shoulder strap adjusters. 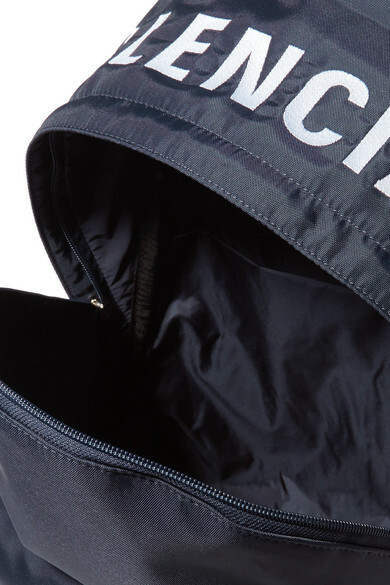 The outside pocket is perfect for the essentials you need to access in a hurry, but it also has a spacious lined interior. 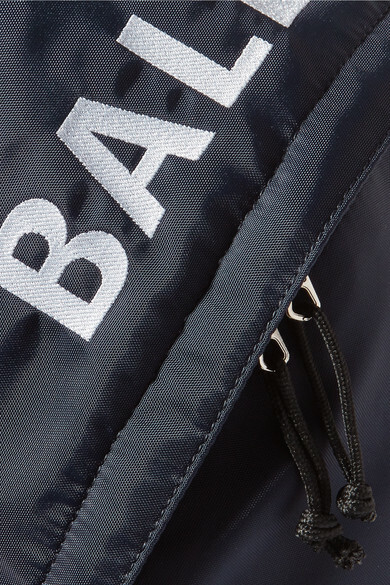 Use it to stow gym gear and a water bottle or a change of clothes for a weekend trip. 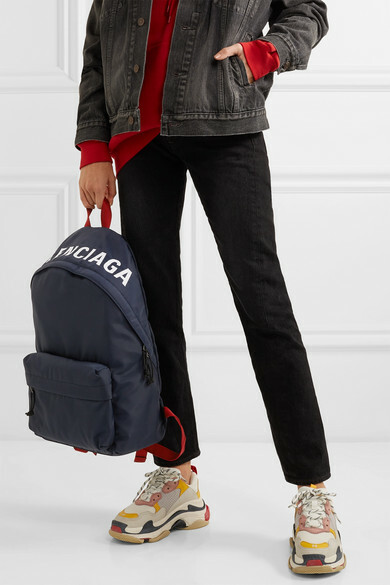 Shown here with: Balenciaga Jacket, Balenciaga Jeans, Balenciaga Hoodie, Balenciaga Sneakers.